Aquarius - Complete information about your sun sign. Astrology Insight's Aquarius Page is nice too. into a whole, and can see both sides of an argument without shilly-shallying as to which side to take. Consequently they are unprejudiced and tolerant of other points of view. This is because they can see the validity of the argument, even if they do not accept it themselves. They obey the Quaker exhortation to "Be open to truth, from whatever source it comes," and are prepared to learn from everyone. They are nearly always intelligent, concise, clear and logical. Many are strongly imaginative and psychically intuitive, so that the Age of Aquarius, which is about to begin, is much anticipated by psychic circles as an age in which mankind will experience a great spiritual awakening. The Aquarian philosophical and spiritual bent may be dangerous in that it can drive the subjects into an ivory-tower existence where they meditate on abstractions that bear little relevance to life. On the other hand it can help the many who have scientific leanings to combine these with the Aquarian yearning for the universal recognition of the brotherhood of man, and to embark on scientific research to fulfill their philanthropic ideals of benefiting mankind. When some cause or work of this nature inspires them, they are capable of such devotion to it that they may drive themselves to the point of exhaustion and even risk injuring their health. In spite of the often intensely magnetic, forthcoming and open personality of the more extrovert kind of Aquarian, and of their desire to help humanity, neither type makes friends easily. They sometimes appear to condescend to others and take too little trouble to cultivate the acquaintance of people who do not particularly appeal to them. They do not give themselves easily - perhaps their judgment of human nature is too good for that - and are sometimes accounted cold. But once they decide that someone is worthy of their friendship or love, they can exert an almost hypnotic and irresistible mental attraction on them and will themselves become tenacious friends or lovers, ready to sacrifice everything for their partners and be faithful to them for life. However, they are sometimes disappointed emotionally because their own high personal ideals cause them to demand more of others than is reasonable. And if they are deceived their anger is terrible. If disillusioned, they do not forgive. 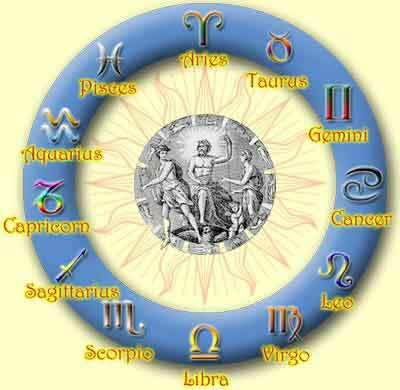 Aquarians work best in group projects, provided that they are recognized as having a leading part in them. They have a feeling of unity with nature and a desire for knowledge and truth that makes them admirable scientists, especially astronomers and natural historians. They may excel in photography, radiography, electronics - anything connected with the electrical and radio industries - aviation and everything technical. On the arts and humanities side their progressive tendencies can be expressed in writing, especially poetry, and broadcasting, or as welfare workers and teachers. Some have gifts as entertainers and make good character actors (having an ability to mimic) and musicians. The more psychic among them possess healing gifts, especially in curing the mentally sick. Among the faults to which they are liable are fanatical eccentricity, wayward egotism, excessive detachment and an inclination to retreat from life and society, and a tendency to be extremely dogmatic in their opinions. Aquarians can be a threat to all they survey or a great boon for humanity in general. Circumstances - for example, continuous opposition to a cause they hold dear - may cause the atrophy of the openness of mind that is one of the Aquarian's most attractive traits. They may express a lack of integrity in broken promises, secretiveness or cunning. Simmering anger and resentment, rudeness or, worse, a tense, threatening silence which may suddenly burst out in eruptions of extreme temper, these are all part of the negative side of the Aquarian. This can also reveal itself in a sustained hatred for enemies that is capable of enlarging itself into a misanthropy toward the whole of mankind. As Aquarius is said to govern the legs from knees to ankles and the circulation of blood, its natives are susceptible to ailments particularly in the legs and ankles, such as cramps, and are also liable to spasmodic and nervous complaints, as well as wind, catarrh, diarrhea, dropsy, goiter and delirium tremens - so that the avoidance of alcohol is important for those Aquarians who have a taste for it. As with all sun signs, we all have unique traits to our personalities. When these traits are suppressed, or unrealized, problems will arise. However, with astrology we can examine the problem and assess the proper solution based on the sun sign characteristics. As an Aquarius you may see things below that really strike home. Try the solution, you most likely will be amazed at the results. If you find yourself on the receiving end of the negatives below, it is because you are failing to express the positive. Problem: Being left all alone while others enjoy the companionship you long for. Solution: You should practice expressing your humanity by accepting people the way they are and not find too much fault in them. Problem: You always seem to miss the boat when it comes to love. Solution: Try letting down the mental guard that you keep on your emotions that stops you from being the self you long to be. Problem: You always seem to miss out on the better jobs or big promotions at work. Solution: Learn to use your positive side in teamwork and group effort, the lone wolf approach will get you nowhere. Problem: You seem to become physically ill more than you should. Solution: By repressing your emotions you drive the unrest deep inside where it can cost you in terms of health. Express your feelings but do it with tact. The symbol associated with your sign is the water bearer, it is symbolic of the Gods nourishing the earth with life giving energies. One of the first to be called the water bearer was the Greek God Zeus in mythology. The beautiful Turquoise is your starstone. The name comes from the French "turquoise", which means "Turkey" as in the original localities in Persia (today Iran). Since before 4000 BC Turquoise has been used and coveted. It can be pure in color or may contain secondary minerals. If the matrix forms a pattern of interlocking polygons it is called "spider-web" turquoise. There is, and always have been, a controversy over "starstones". Starstones are NOT birthstones. I give you here in these pages the stones that are called your starstones, (planet stones), which vibrates the strongest to your planet or sign, NOT to the month that you were born. I would also like it if those who think they know precisely what their stone is to go to the library and reference some good Astrology books such as 'Parkers Astrology'. Sorry for the confusion, but confusion over this topic has raged for hundreds of years. Some Famous Aquarians That Share Your Sign!